Chase now waives all annual fees on their personal credit cards for active duty military servicemembers and spouses. 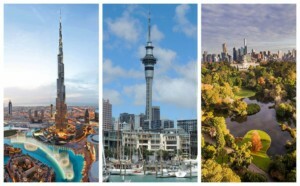 This includes the ultra-lux Chase Sapphire Reserve, with $300 of annual travel credit and a 50,000 point welcome bonus after spending $4000 in 3 months. This is a fantastic benefit available to all servicemembers on active duty orders (30 days or more) and their dependents and is on par with the American Express military fee waiver program. 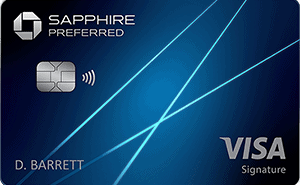 Every servicemember should now have a no annual fee Chase Sapphire Reserve card in their wallet alongside the AMEX Platinum! 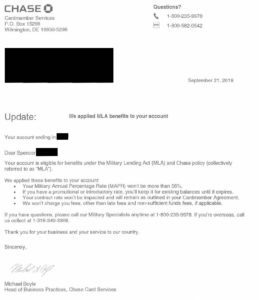 Chase updated their military policy on September 20, 2017 to comply with the Military Lending Act. Any account opened AFTER Sep 20, 2017 is eligible for the Chase military fee waiver. I recently opened a Chase IHG Premier card and received my MLA fee waiver letter from Chase before I even received the card. When my wife opened up her Sapphire Reserve card, she also received the Chase MLA letter the same day she got her cards. Your account is eligible for benefits under the Military Lending Act (MLA) and Chase policy (collectively referred to as “MLA”). If you have any questions, please call our Military Specialists anytime at 1-800-235-9978. If you're overseas, call us collect at 1-318-340-3308. Chase Military Specialists are available to discuss MLA benefits on the Chase Military Hotline at 1-800-235-9978 or from overseas 1-318-340-3308. Unfortunately, if your account was opened before 20 Sep 2017, you are out of luck with MLA benefits. You could always open a new card though and receive the fee waiver benefit. 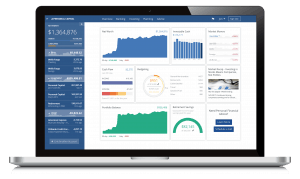 The MLA caps interest the banks can charge at 36% Military Annual Percentage Rate (MAPR). This MAPR includes annual fees, so Chase decided it was easier to waive the annual fees for military members rather than calculate the 36% MAPR for each military servicemember. The only fees Chase now charges military personnel are late fees and insufficient fund fees. This is a very generous interpretation of the MLA, as “bona fide fees” on premium cards are allowed under the MLA. That said, take advantage of Chase’s military fee waiver while you can! My second oldest credit card on my credit history is a Chase Freedom card I opened in 2011. This is a great card with it’s 5% quarterly rotating categories (usually gas for half the year) and 1% back on every other purchase. I’ve been a happy Chase customer for over 7 years and plan to increase my business with them now that they waive annual fees for military personnel. Chase Bank is very restrictive with the amount of credit cards you can have opened in the last 2 years. Known as the 5/24 rule, Chase will deny most but not all credit card applications if you have opened 5 credit cards in the past 24 months. If you are interested in earning lots of credit card reward points, you cannot go wrong starting with the Chase Sapphire Reserve. Priority Pass complimentary airport lounge access. VERY nice to get free food, drink, and a place to rest when on the road. Other benefits include every 4 years you can get your Global Entry $100 fee waived. Don’t bother with TSA Pre-check, as all military personnel and dependents get automatic TSA Pre-check with your DOD ID (CAC) number. Learn more about the Chase Saphire Reserve military fee waiver. Or, see my step-by-step guide for the optimal order to apply for military credit cards. The easiest way to have the Chase active duty military annual fee waiver applied to your account is apply for any Chase card and select “Military” as your income source. Chase will compare the Social Security number on your application to the DoD database. If you’re a dependent spouse, they will check the DEERS database to confirm your eligibility for the MLA waiver. Note that unlike American Express, Chase does not waive the annual fee for military business card holders. MILITARY LENDING ACT NOTICE: Federal law provides important protections to members of the Armed Forces and their dependents relating to extensions of consumer credit. In general, the cost of consumer credit to a member of the Armed Forces and his or her dependent may not exceed an annual percentage rate of 36 percent. This rate must include, as applicable to the credit transaction or account: the costs associated with credit insurance premiums; fees for ancillary products sold in connection with the credit transaction; any application fee charged (other than certain application fees for specified credit transactions or accounts); and any participation fee charged (other than certain participation fees for a credit card account). To receive this information and a description of your payment obligation verbally, please call 1-800-235-9978. Let me know in the comments if you successfully had your Chase annual fee waived. My wife just opened her Chase Sapphire Reserve card so we will report back soon if the annual fee is waived. If you're interested in supporting my site, applying for credit cards through my links is the easiest way to do it. I'll receive a referral bonus at no cost to you. Thanks! Worth it if you fly United or partners and you are under 5/24. Thanks for this post. I’m an active duty SM who opened a Chase Sapphire Preferred account in 2013 with my wife, and recently upgraded to the CSR (Dec 2018). Unfortunately I don’t meet criteria for the SCRA or MLA. Do you think I would have success closing my CSR account, then opening again several months later to get the military benefits? @John – Does your wife have her own Chase Sapphire Reserve/Preferred? If no, you could close your account and open one in her name. Her annual fees will be waived under MLA. Add yourself as an authorized user and you now have a CSR with no annual fees. If you both had a CSR/CSP opened before 20 Sep 2017, you can open a Chase Freedom or Freedom Unlimited and then product change (upgrade) it to a CSR after a year. Since it’s a new account opened after 20 Sep 2017, MLA will apply to the account. Then close your old CSR and now you’re left with a CSR with no annual fees. Yup, stack those AMEX cards if you’ll never be under 5/24 again (like me)! Is there anyway that you can think of to product change from a Chase Freedom to a Chase Reserve and not pay the annual fee if I opened my Chase Freedom in December 2016? Opened after SCRA but before MLA benefits… I was waiting to be under 5/24 since I’m on a deployment and didn’t have enough expenses to earn bonuses on new cards but now that Sapphire credit cards are under the new 48 month rule I decided to open an Ameriprise Plat, Ameriprise PRG, and Amex Green before the end of the year. I don’t think I will be under 5/24 for a long time and won’t be eligible for the Reserve. Marcus – I have no data points on this after searching around a bit. Do you have a spouse? That’s the easiest way around this problem. You could try product changing the Chase Freedom to the CSR but it won’t be a new account opening so I doubt they will apply the MLA benefits to the account, as the account was opened before 20 Sep 2017. You could always try it and report back. Worst that happens is $450 annual fee, offset by $300 in travel credits, so $150 fee. Then you could downgrade it back to a Chase Freedom. Something to consider.